Trust plays an instrumental role in Asian business. Business relationships cannot be built instantly; they require effort and commitment. The Chinese even have a word for it — guanxi — a personal trust on which relationships are built, often based on a sense of moral obligation. Building business relationships in Southeast Asia has been a journey for Ben. It began when he opted to study his MBA at the Asia School of Business (ASB) in Kuala Lumpur. 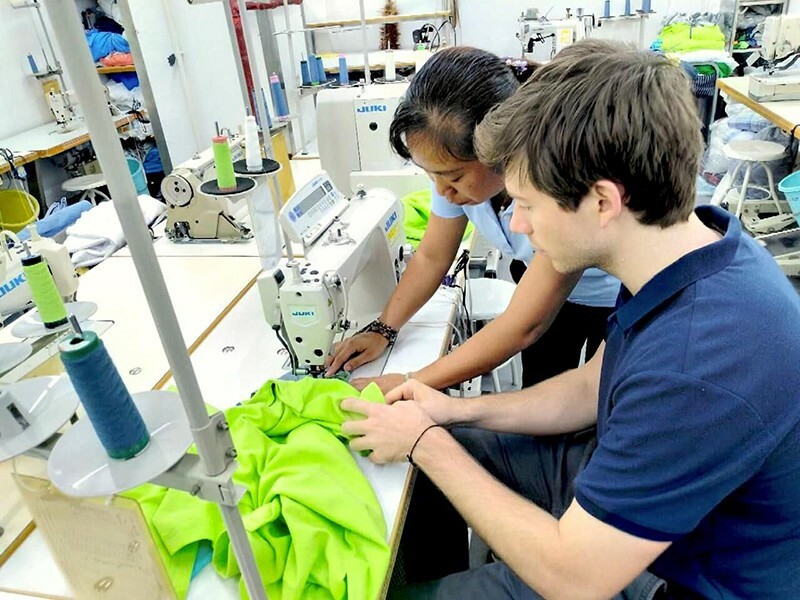 After graduating, he joined Esquel Group in Vietnam, a leading cotton garment manufacturer supplying global brands, including Hugo Boss and Ralph Lauren. He attributes his success with Esquel to the immersive ASB program, where he learned to adapt to new environments and build those all-important relationships focused on trust and communication. Why Asia School of Business? For a long time, Ben was keen to follow the path less traveled. As a mechanical engineer, graduating from Kettering University in Michigan, he moved to Houston, where he worked for an oil and gas service company in varying manufacturing roles. Despite his engineering background, he was drawn to the business side of these roles. All the while, he looked-up to his older sister who had successfully built an international career across Europe and Asia. He was inspired by his sister but, even more so, he was restless in Houston. “I didn’t want to be doing something that everyone else was,” Ben recalls. His career needed a new direction. Earning an MBA had always been at the back of Ben’s mind, and to do so at the Asia School of Business seemed like the perfect opportunity to jump-start his own international career. What did the MBA provide? 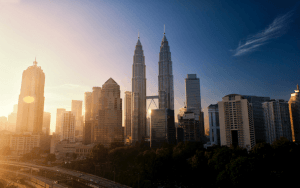 As a starting point, Kuala Lumpur was a “great gateway to the region,” with a balance of Asian and international cultures which made it easy for a Westerner like Ben to integrate. 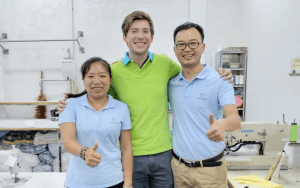 Importantly, the MBA program at Asia School of Business laid the foundation for him to begin building the business relationships that ultimately led to his career with Esquel. An impactful part of the program was the Lean practicum, which gave students direct exposure to Asian manufacturing operations. Ben and his classmates spent one intense week at Aerospace Composites Malaysia, a supplier of Boeing and Hexcel, implementing improvement projects with local engineers and managers. This involved hands-on work in the factory, as well as time spent evaluating the problems the factory was facing and coming up with tangible solutions. Learning about the “real world” challenges that businesses face equipped Benjamin well for his future career. But it was the Action Learning program from which Ben benefitted the most. Each semester student teams are paired with companies across the region to work on real-world projects. For Ben, this involved projects with AirAsia in Kuala Lumpur, and his current employer Esquel, in Vietnam. “Other MBAs maybe have summer programs where you can travel, but usually it’s only for a couple of weeks. You don’t really have that same immersive experience,” he says. How did the MBA fast-track his career? For Ben, Asia became not just a place to study, but a place where he could build an international career. While he considered employment elsewhere, he viewed working in Asia as a “long-term gain”—a place where he could build relationships and challenge himself. This relationship-building had been helped by the diversity of his MBA class. As one of 13 represented nationalities, he had quickly learned to adapt his communication skills to fit an international context. “If someone doesn’t understand you, that’s not their problem; that’s your problem,” Ben advises. He applies this communication mindset to problem-solving in his current role as Technical Engineering Manager.